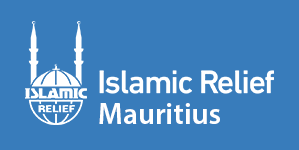 Islamic Relief aims to be the first on the ground when an emergency strikes, helping those affected immediately. Islamic Relief aims to be the first on the ground when an emergency strikes, helping those affected immediately. When floods, droughts or earthquakes happen, we’re there: providing life-saving supplies to families who have lost completely everything. We not only save lives, we rebuild them – we stay even after the situation has calmed, helping families build their live back together. We don’t even stop there – where people are affected by the same disasters repeatedly, we work towards reducing the risk of a disaster to potential victims. In countries like Bangladesh, which suffers from regular flooding, we raise houses on plinths so the water doesn’t reach homes and destroy them, protecting communities for years to come. On the other hand, in drought-stricken countries like Niger, we build long-lasting wells and plant crops which can survive in dry weather, so families won’t starve.